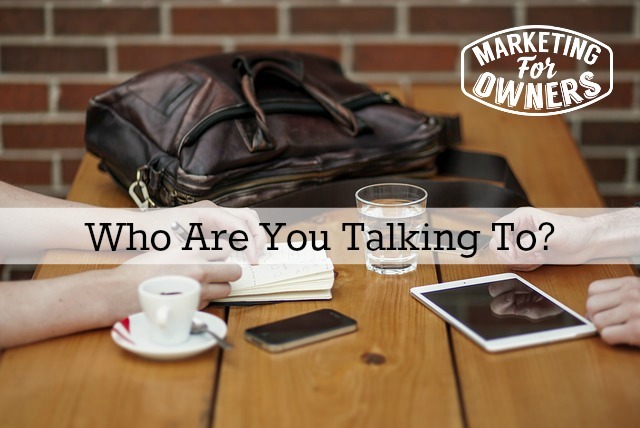 Today’s subject is “who are you talking to?” Who is your mentor? Do you have a mentor or mentors? Do you have a coach? Have you ever considered having a coach? Have you ever heard of a coach for business? I’m talking about for business — not for life or anything else. Do you know anyone who has one? Personally I have three (not showing off, just an FYI). Now, you might think; “well, that’s a bit extreme”. But I couldn’t manage without my coaches and these are business coaches. They teach me things. They listen to me. They listen to my ideas, so they’re quite often a sounding board. But when you’re at the top, when you run a business, whom do you talk to? You could talk to your spouse, you can talk to your friends, but do they run a business? Are they in the same position? Do they have the same knowledge? Do they understand the stresses? Do they have the training to have the answers? You could talk to your staff but that would be a bit strange. I mean, if you have business pressures for instance, you can’t talk candidly to your staff about what’s going wrong. It’s probably not the done thing. So my advice is get yourself a mentor. Get yourself a business coach. Personally I’m in the Strategic Coach program. They have a British office. Strategic Coach is based in Toronto, but it’s also in the USA. A lot of very, very successful entrepreneurs are in Strategic Coach. Look up Dan Sullivan online. He puts out a lot of videos that are very, very interesting, and very worthwhile. I have also been part of the E-Myth Mastery Program for years. Our coach there, Melinda, is wonderful. A lot of how we run the business is based on the E-Myth system. Without that, we would not be where we are now. In the past I’ve had other coaches, including a great guy, John Jaworski. You can look him up online. He’s a fantastic coach. And, I also have David Barnes at Fire Protection Online who runs finance at the business but also is a fantastic sounding board. His experience is immense. He comes from the airline industry but it doesn’t matter. Business is business and when you want to learn you want to learn from someone who’s been there, done that, been through it, and understands. So my advice is think to yourself, who can you talk to? Do not do this alone. Who can understand you? Who can help you? And a coach most importantly must be able to help you, so consider that carefully. That’s what you’re going to look for. By the way, I wouldn’t ask friends; “oh, do you know a life coach?”. I think a life coach is probably something slightly different and, of course, they can help you, but probably not in business. You really need someone who has experience of what you are going through. So interview them very, very carefully. I’m going to recommend a guy called Marcus Sheridan. Marcus is fantastic. He’s American. 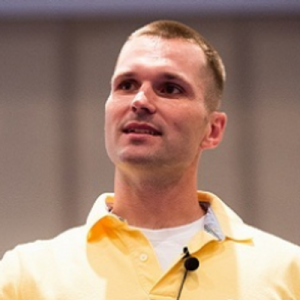 You’ll find him on Twitter @TheSalesLion. He also has a website TheSalesLion.com. Marcus’s story is fantastic. Just go there, read everything he has. He’s a genuine guy and, to be honest, maybe one day I’ll tell you a story about how Marcus unknowingly changed the entire way I do my business marketing in my main business. And as usual, this show is sponsored by the fantastic folk at Rainmaker part of CopyBlogger Media. Rainmaker is the platform that runs our website. It runs all the CopyBlogger websites. It is essential and its price is just ridiculously low. It’s just so simple and they teach you how to use it to it’s best ability. Go to bit.ly/mfo-rain. Tell your friends about this in iTunes, I hope you like it. If you’ve got any comments, please send them in. I’d love to hear what you think; I’ll speak to you tomorrow.